Diabetes is not a death sentence, but you have to manage it properly to minimize your long-term risk. It is a known fact that diabetics that have changed their lifestyle and eating habits, have come off prescription medication. The more you are prepared to change, the less medication you will have to take. In 2014, we had 422 million diabetics globally and by 2030 that figure will increase to 552 million. We know that diabetes is a serious disease but it is within your power to prevent many of the major complications. Diabetes kills double the amount of people per annum compare to Aids. In 2011 we saw 4 million diabetes related deaths globally. Act now!! By monitoring your blood sugar and keeping it as close to normal can reduce your risks for complications dramatically. This is the single most important move you can make to take control over your disease. The right diet is the most important step you can take to control your weight. Exercise is equally important to weight and blood sugar control. There are a few options available today that can even eliminate the need for insulin injections. Diet and exercise are indispensable, but when you need diabetic medicine – take it because it can slow the progression of the disease. Heart disease and stroke; high blood pressure; blindness; kidney disease; nervous system diseases; amputations; periodontal disease; pain; depression and auto immune diseases like thyroid disease and inflammatory conditions. You will see how different food affect your blood sugar and that will allow you adjust your diet according to your glucose levels. Detect hypoglycemia – which is a very common treatment complication. 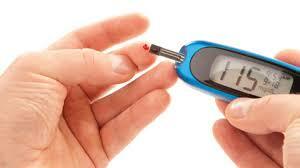 Determine the effect of medicine on your blood sugar so that dosages can be adjusted. Understanding how blood sugar levels can change when you are taking insulin, or when you are sick, exercising or drinking alcohol so that you can take the right steps to get levels back to a normal range. Provide your doctor with history of day-to-day changes so that you can be supplied with optimal advice. It will depend on your type of diabetes. Light exercise before testing or wash hands in warm water before testing. Adjust lancet for deeper penetration. Swinging of arms before testing will improve blood flow to fingers before testing. Wait after testing for blood to make a droplet – do not squeeze blood out right away. When everything has failed – put a rubber band on the base of the finger to prevent blood from flowing out and take band off as soon as you get the blood. Prick on the sides – more blood vessels and less nerve endings. After the prick, put a little lotion on the prick site to soothe it. Use mild soap and warm water instead of alcohol – warm water will increase blood flow in fingertips. Use an adjustable lancet to adjust penetration according to skin thickness. Use your logbook whenever testing. Record the following: time, day, date, reading, what you ate, exercise for the day, emotional wellness, physical wellness – all this recorded information will assist your healthcare practitioner and yourself to control your blood sugar levels better. Calibrate each batch of test strips. When readings are inconsistent with how you feel – check expiry dates and see whether package has not been tampered with. Use a calibrated solution where the glucose level has been predetermined to assess accuracy of your meter. Next time you do a fasting test; take your meter with an also do a testing that you can compare when the results are available. Your results should not differ more than 15%. Are you following the directions how to use meter; are your hands clean or are you using too much blood. Clean meter according to instructions and check batteries. When your readings seem to be malfunctioning sometime – report problem to hotline. Laser beam zaps a small hole in your finger – you still feel it, but much less painful. The cons are that the meter is bulky and costly. No pricks – blood is drawn through skin with an electric current. The only downside here is that it takes 20 minutes for meter to calculate a reading. Sensor implanted under skin and it measures glucose every 5 minutes. It can monitor information up to three days. Information can then be downloaded on PC. The problem here is that the immune system will attack sensors – hopefully in time to come new sensors will be developed which can be kept under the skin for a long time. This will then function like an artificial pancreas. Do not let uncontrolled diabetes dictate your health, manage it properly and you can live a long life without heart attacks and amputations. Do you need guidance for better diabetic control or are you at risk for diabetes? Contact your Integrated Healthcare Provider for assistance now.